New York conducted itself like some third-rate 'burg during and after last weekend's blizzard, failing to take even the most routine and common-sense precautions against getting overwhelmed by snow. The post-mortems are rolling in, and the verdict is run-of-the-mill incompetence. 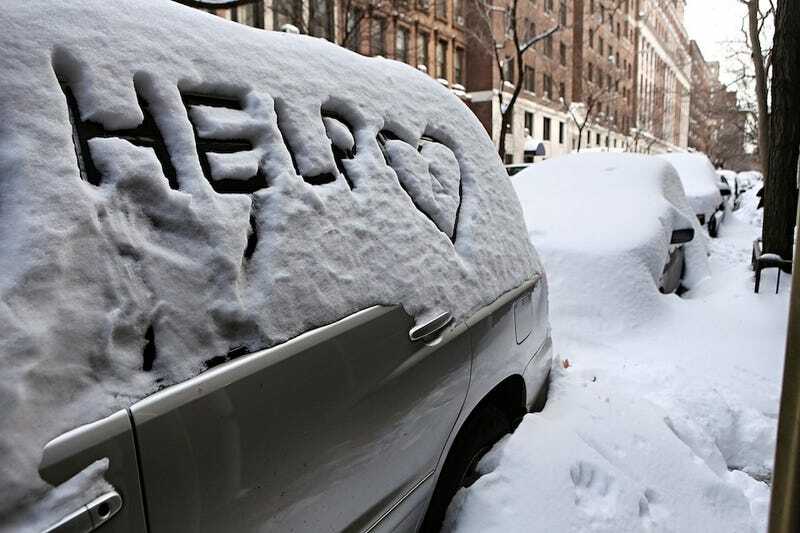 The New York Times, Daily News, and New York Post all have their takes today on why it took New York more than 72 hours to clear two feet of snow from its streets and why it seemed to be caught off guard by what was obviously a major weather event. The most explosive charge comes from the Post, which repeats the claims of Queens city councilman Dan Halloran that city sanitation workers deliberately sabotaged the cleanup in an effort to undermine Mayor Michael Bloomberg in retaliation for budget cuts. "[Sanitation workers] were told [by supervisors] to take off routes [and] not do the plowing of some of the major arteries in a timely manner," Halloran told the Post, claiming that three whistleblowers confided the plot to him. "They were told to make the mayor pay for the layoffs, the reductions in rank for the supervisors, shrinking the rolls of the rank-and-file." That's second-hand, and from the virulently anti-labor Post, so take it with a grain of salt. But even the Times flicked at "shouts and whispers" that "angry sanitation workers had sabotaged the [cleanup] efforts." No one figured out a blizzard was coming. The storm's early track was tough to figure out, but the National Weather Service started issuing hazardous weather alerts on Tuesday, December 21 and issued a crystal clear blizzard warning on Christmas Day at 3 p.m. But the City's deputy mayor in charge of snow response, Stephen Goldsmith, was traveling to Washington, D.C. He had a full day after that warning, but before the snow started falling, to return to New York, and he didn't. Even more astonishing, the city failed to declare a snow emergency in advance of the storm, which would have cleared major thoroughfares of cars and eased plowing efforts. Why not? "Mr. Bloomberg, asked Tuesday why an emergency had not been declared, confused the issue by asserting that doing so would have put more cars on the roads, potentially creating more problems," the Times wrote. "But clearly, had he declared an emergency shortly after the Weather Service's blizzard warning, there would have been ample time to move cars before the heavy snow began." New York City transit picked—and stupidly stuck to—its least comprehensive snow response plan. From the Times: "The managers can choose from one of four plans, prescribed each year in a telephone-book-size manual that lays out, in 300 pages of excruciating detail, the exact process for keeping the nation's largest public transportation system functioning in the event of inclement weather. Plan 1, the lowest level of preparation, takes effect when the temperature drops below 30 degrees; Plan 4, the full-press emergency response, is activated when at least five inches of snow is expected. By that morning, the Weather Service had been warning of a significant winter storm starting on Sunday afternoon. But at 11 a.m., the managers issued a proclamation of Plan 1." And "because of a quirk in the transit agency's system, the plan chosen on Friday stays in effect all weekend. And the agency would not officially make the switch to Plan 4 until 11 a.m. on Sunday." A quirk! Many of the snow-plow operators had no idea what they were doing. According to the Daily News, at least 100 of the snow plow crews included "rookie drivers working their first storm. They had only two weeks of instruction, and just a few days of driving." The City didn't bother to ask private crews to help. Sanitation Commissioner John Doherty told the Times that he should have asked for help sooner. "If we had the private industry and the front-end loaders early, come in, it would have been a big help, no question about it. It is a problem." Why didn't he? "The problem, he said, rested largely with him. He said he might have taken too long to make the first calls for private help. He said he had become too consumed with deploying thousands of his own workers." New York City is run by morons. From the Daily News: "Despite the ongoing snow woes, there was one last strange choice: A dozen fire companies were sent to a Randalls Island training session, taking them off the streets." All this adds up to, in Paul Krugman's estimation, "Bloomberg's Katrina." Which would probably be an apt term if the blizzard had completely destroyed New York City, and if Michael Bloomberg hated black people.